This is a guest post by Justin, a blogger behind True Nomads. His blog is dedicated to his adventurous travels (and I mean falsely-accused-and-detained-in-prison-in-Egypt adventurous) and scuba diving of course! If you’re interested in discovering how life under the sea looks like around the world (he is on a mission to scuba dive the top 100 sites in the world! ), you definitively want to check Justin’s blog. You can also follow him on Facebok and Twitter. 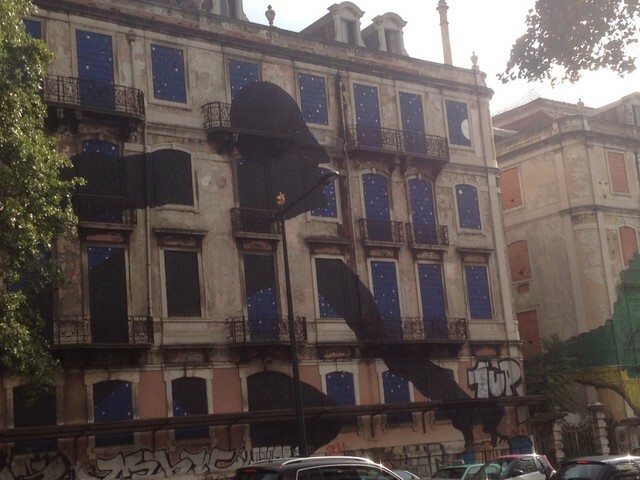 The street art of Lisbon is one of the best that I’ve seen. 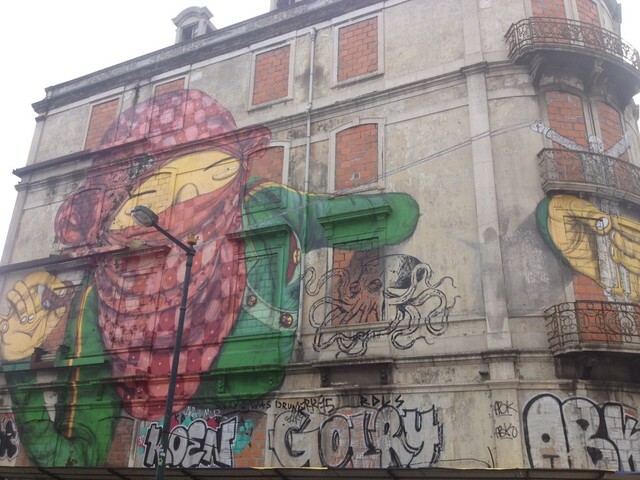 I take a lot of guided graffiti tours, from Brazil to Palestine to Perth to Germany, and the one I took in Lisbon was one of the best I’ve been on. There was so much of it in the 1+ hour car tour of the city, that we only got to see a small percent of it! 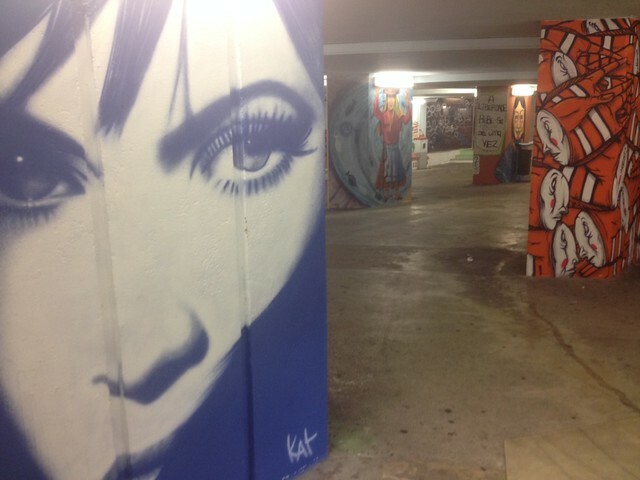 But what I did get to see was some amazing art work. 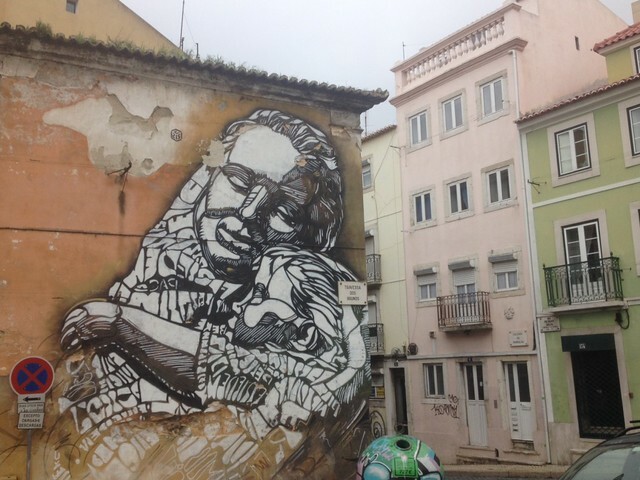 My guide in Lisbon knew exactly where to take me for the greatest pieces, including a city wall, a health clinic wall, giant murals covering whole buildings, and many other hidden treasures. 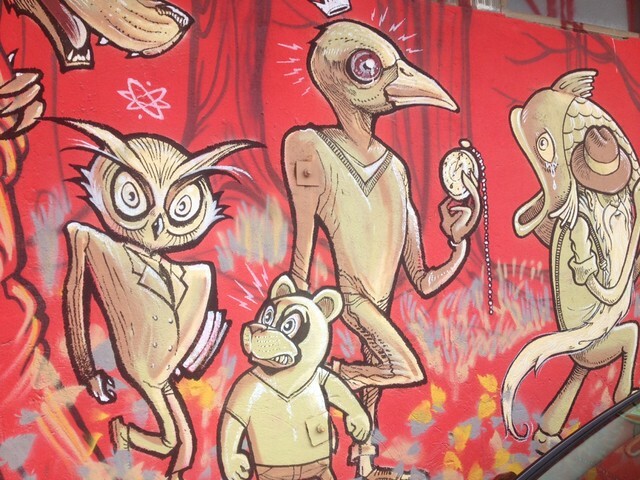 Here are the highlights of one of the best graffiti/street art tours in Europe. 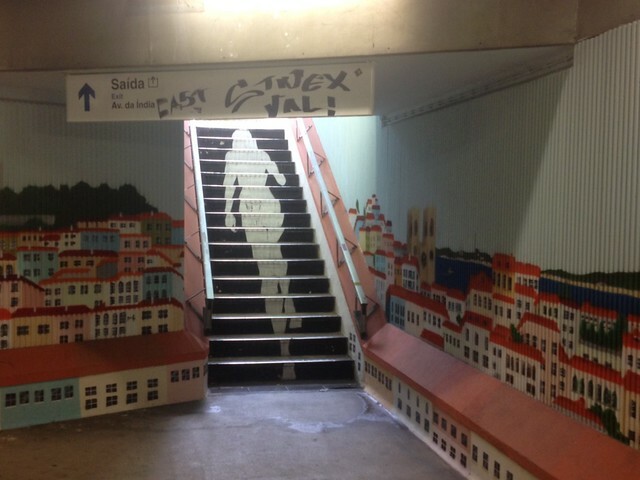 Check out my guide for more information on things to do in Lisbon. These buildings were completely covered with HUGE pieces. I had to cross the street to get the whole thing in the photo. Apparently the city figured it was cheaper to hire famous graffiti artists from Brazil to cover these old ugly buildings, then it would be to tear them down and build something nicer. So they did, making them less of an eye sore. Now that’s something you don’t hear governments doing very often… paying graffiti artists to do their work on their city. My guide explained how artists will get together and decide on where each person got to do their work, and if a section or a piece was really old or really bad, and artist unknown, they would decide if it was okay to cover. 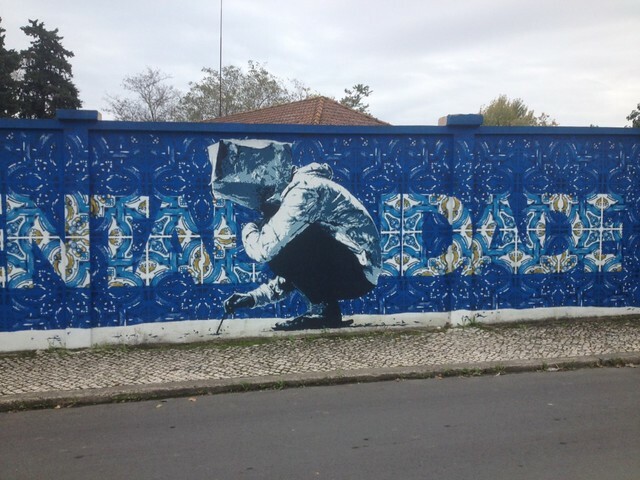 Anyways, all these places were done legally, and apparently it’s allowed because the city of Lisbon agrees with me that these graffiti murals make the city’s dull places look awesome! If you look closely you’ll see that the head of this one is done with a chipping technique where they chipped away the paint and plaster to make the face. I saw this unique and awesome technique all over the city and loved it. In this one above, the story goes that the artist was chipping away secretly on this piece when the owner arrived. 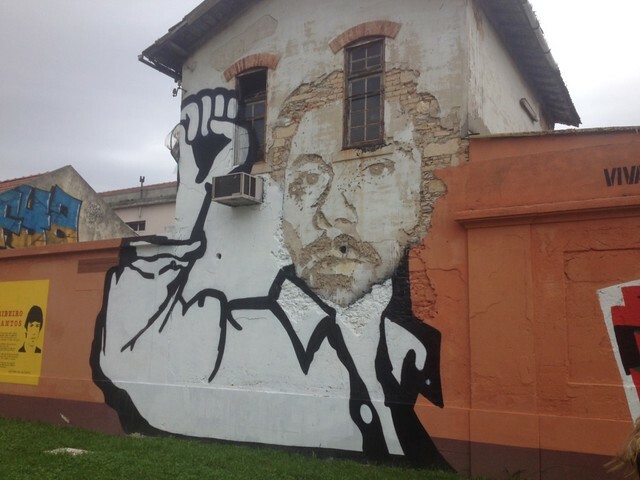 A fight ensued as the owner of the building was rightly angry about the defacing of the building. The artist had the guy step back and look at the piece, and the guy was so shocked and impressed that he let him finish and paid him to do more of his buildings! This blue wall above circles is a big mental hospital. 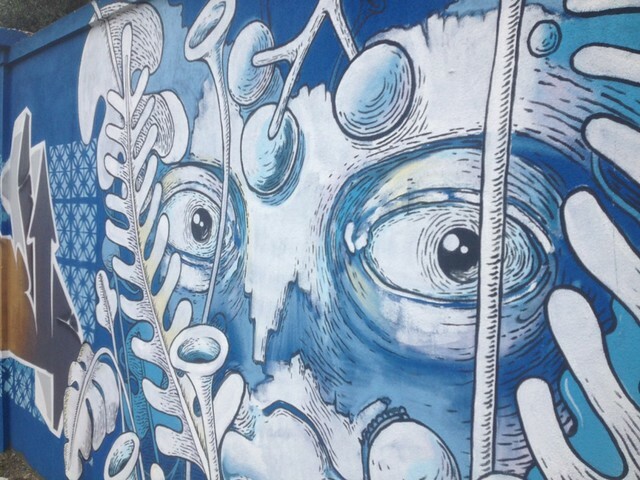 Artists got together and gave each other sections of the wall to do projects on, and the hospital painted it all blue to be based on. I have no idea how long it took, but each and every section is unique and a masterpiece. Some are very intriguing and detailed with the help of many a stencil, others masters of free hand and minute detail. It took me a long time to get through all these, and it gave me a really good feeling about Lisbon for sponsoring such big and wonderful projects like these!